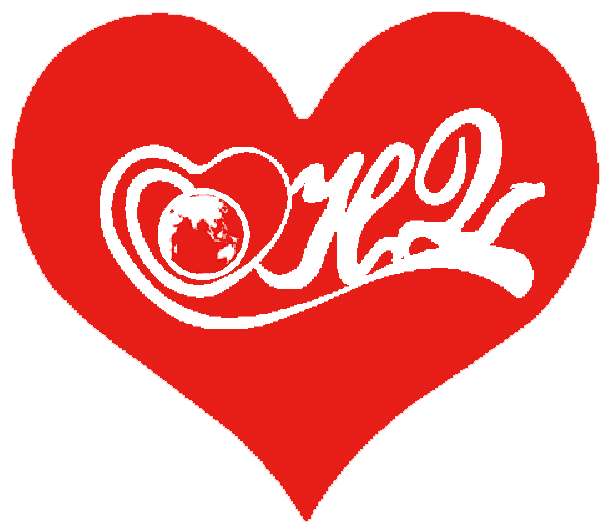 heart, rose,deer,wishing tree, tree of love Cupid, kitty cat etc. 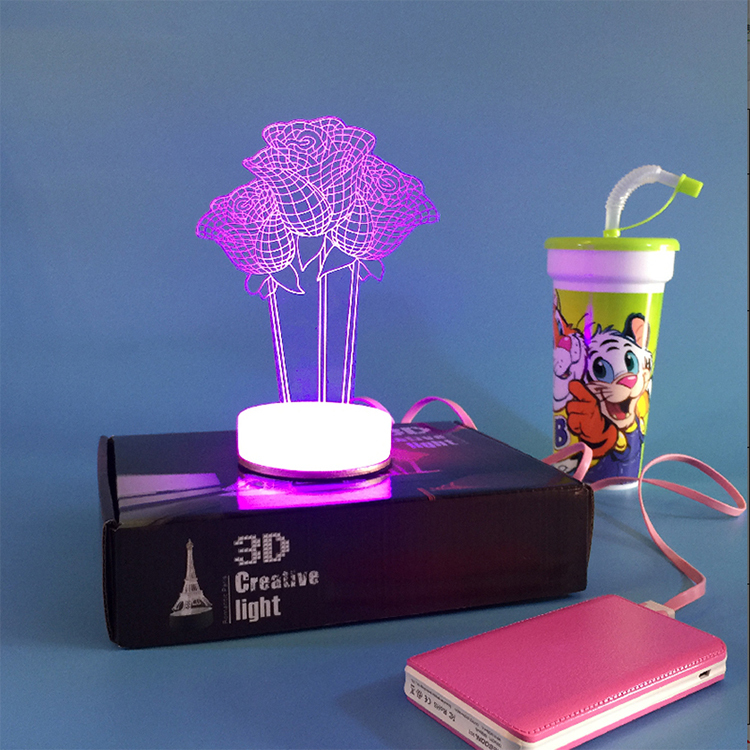 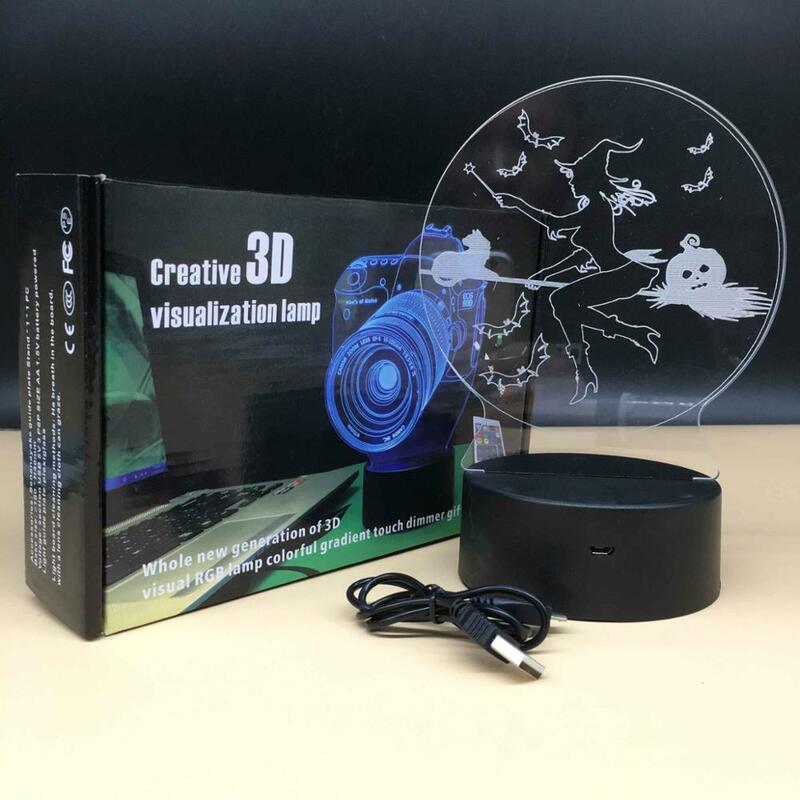 Nice table lamp, will give the room a good visual effect, such as the "3D" three-dimensional sense of the table lamp - BULBING. 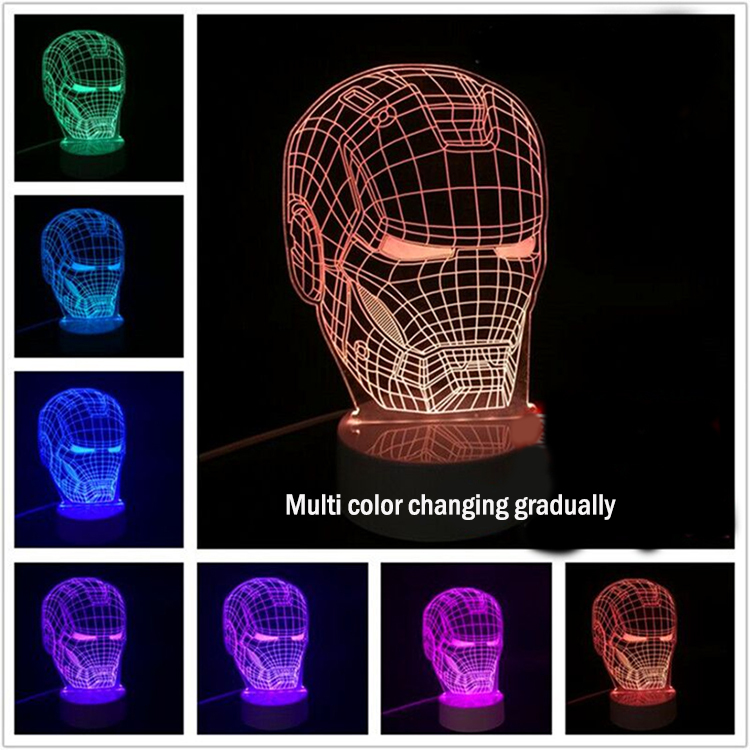 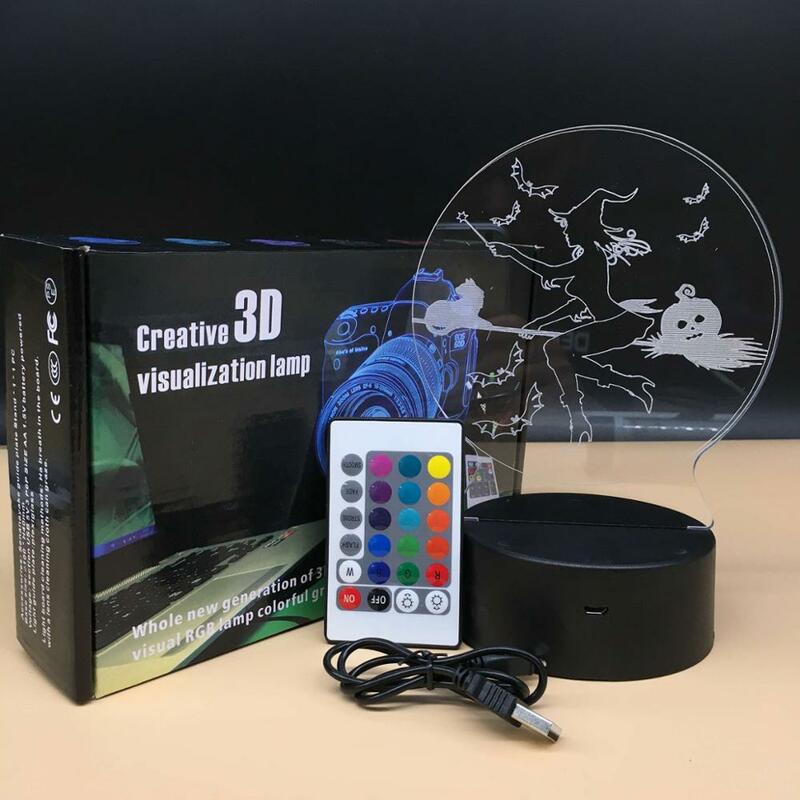 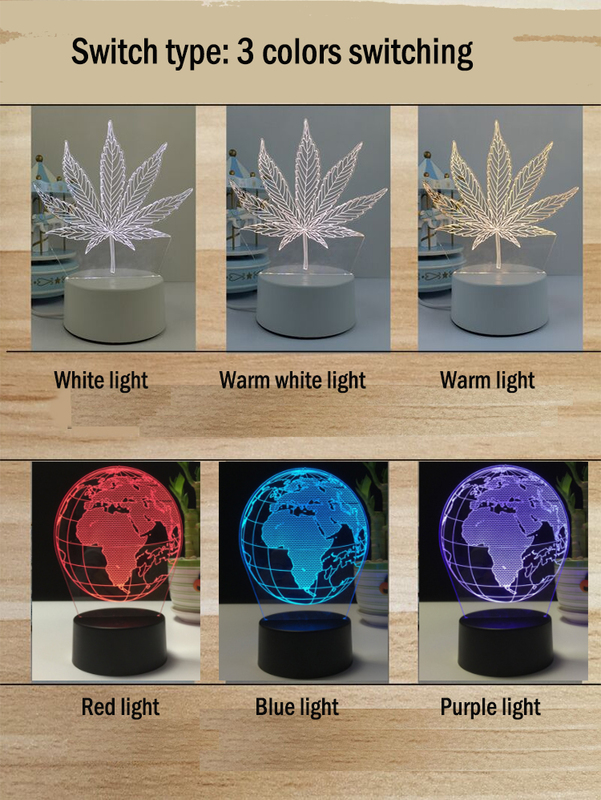 BULBING a very challenging brain and eye led illusion lamp, it seems is a three-dimensional pattern, is actually a piece of organic glass, each piece are by means of laser engraving a three-dimensional linear pattern, the light will appear 3D stereo vision effect. 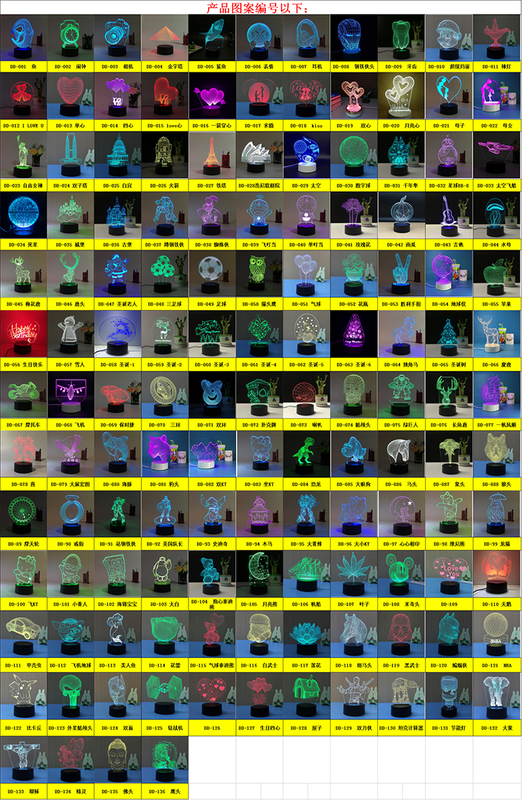 It with various patterns, such as a balloon, a rose, skull, the shape of the Star Wars series, there are more than 30 varieties to what pattern will change the corresponding glass can be. 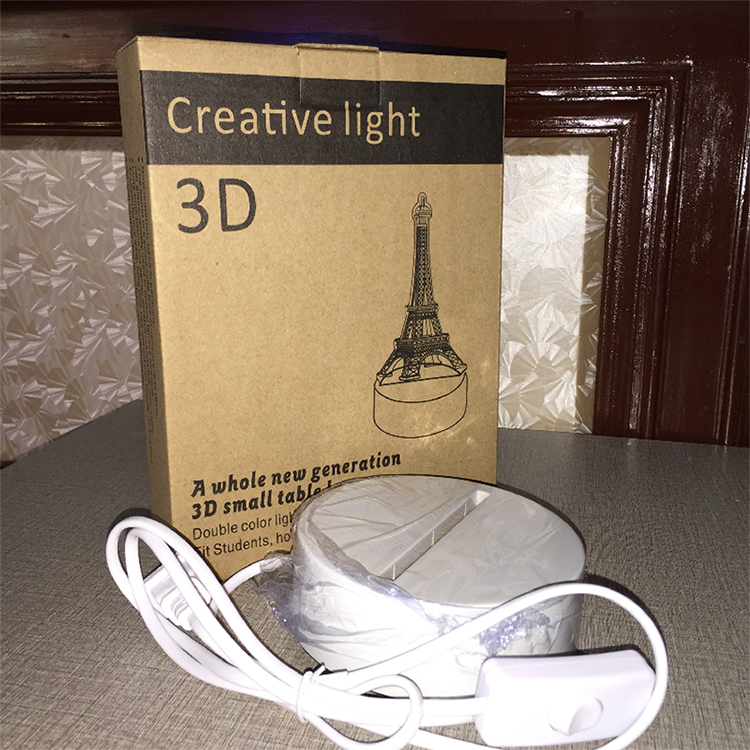 Unique energy saving technology to make the lamp life has become very long, and will not overheat, changing the light bulbs is easy. 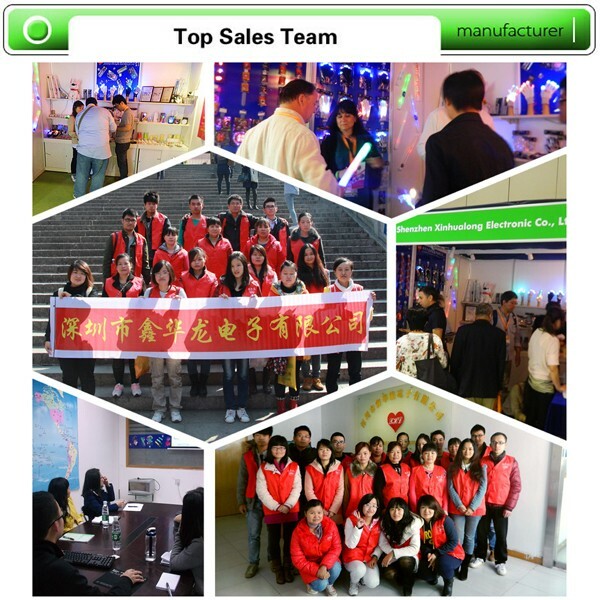 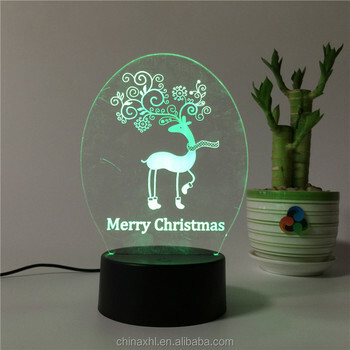 Shenzhen Xinhualong Electronic Co., Ltd. is a professional manufacturer engaged in making Flashing gifts. 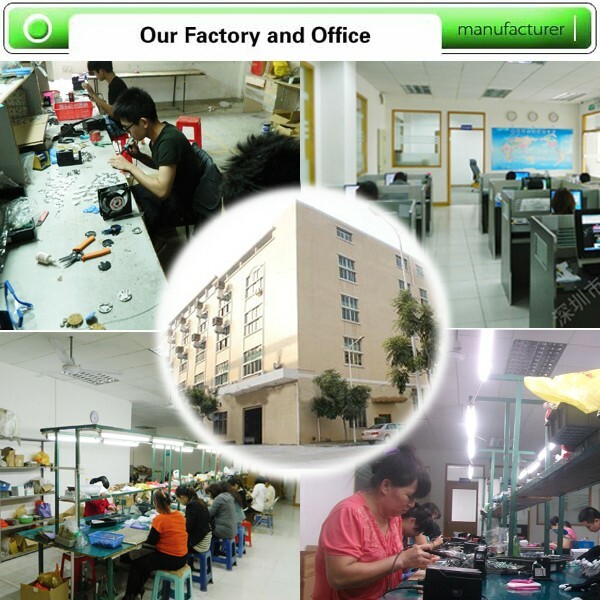 Our main products include Flashing badges, Magnetic flashing pins, Flashing gloves, Flashing golf ball, Flashing dog collars, etc. 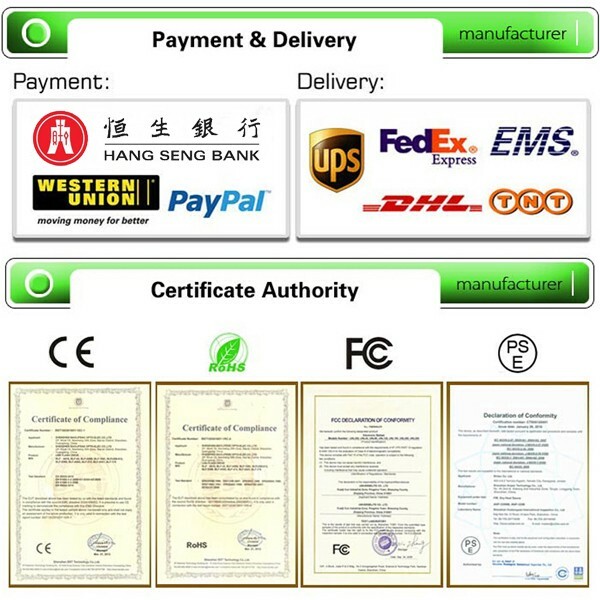 Welcome OEM & ODM orders.